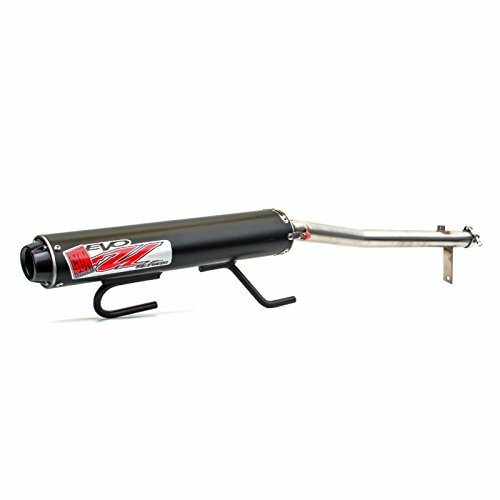 Big Gun EVO Sport Utility Slip-On, Color: Black, Material: Aluminum 12-1672 by Big Gun Exhaust Systems at Chosen Hubs. MPN: 12-1672. Hurry! Limited time offer. Offer valid only while supplies last. Color: Black Material: Aluminum The Big Gun EVO Utility Series was designed to deliver raw horsepower and torque gains for utility ATVs and UTVs. 4-8 horsepower increase on most models. Snorkel kit available for all models. Black powder coated stainless end tip. All Big Gun exhausts are for closed course use only and are not intended for use on the road. NOTE: Big Gun exhausts are NOT LEGAL for sale or use on pollution controlled vehicles in the state of California.